Responsive email design basically involves designing an email that works on devices of all screen sizes. Yes, we are talking about all screen size that matters and it is not limited to simply the mobile or desktop screens. A responsive email is designed such that it fits in well on devices of all screen sizes. We usually design emails such that they fit in on the laptop or computer screens. There exists a very small community of people who use mobile friendly emails. But what about the other devices? There are a number of devices with varying screen sizes such as laptops, computers, tablets, and mobiles. Moreover, every one of these devices have varying screen sizes. But why is the creation of a Responsive Email so necessary? Yes, it’s true: Up until only a few years back we would read emails only on desktops. However, is it the same scenario in the modern world? Let’s take our daily routine as an example. After waking up in the morning what is the first thing that we do? We pick up our beloved smartphone and start checking emails even before we get out of bed. On an average, we check emails on three or four different occasions before actually turning on our laptop or desktop computers. While we are travelling, we use mobiles and tablets for checking our emails. Even before we turn in for the night, we make use of similar portable devices for once again checking our email. This is what everyone’s general routine has turned into and you may be familiar with it as well. A recent survey suggests that more than 50% of emails are accessed from devices other than desktop computers or laptops. This is why making use of a responsive email design has emerged as the need of the hour! Understood, but how do you go about creating a responsive email? Earlier, creating a responsive email that would fit into a screen of all sizes was deemed an impossible task. However, thanks to the use of “Media Query” all of it has changed! With the use of media query in the design of our HTML mailer, we are able to create responsive emails which can work like a charm in all devices having varying screen sizes. I understand all of this sounds a bit too technical. You need to have the minimum amount of technical knowledge for using media query in your HTML mailer design. However, we are not here to talk about the use of media query or similar techniques for creating responsive emails. We will be discussing about three basic but very important tips that should be kept in mind while creating responsive emails. So let us introduce ourselves to them, the three important tips for designing a responsive email. If you have been closely reading the post, you are aware by now that more than 50% of people use mobile devices for reading their emails. You should also know that Internet connectivity is typically poor in mobile devices as compared to the LAN connections we work with on computers. We should keep in mind that our emails need to open with the same amount of speed on all devices (and I mean fast, real fast). You need to keep the following things in mind so that you can speed up the process of your email opening on all devices, even on those running on low connectivity. Also, your email should not have too many Call-To-Action buttons. How can you avoid that? Okay, so what is the basic purpose behind our sending emails to people? Yes, we intend to convey some information or the other to the masses. We should look to keep our focus squarely on the message and try avoiding huge stories. The whole world is very busy, make no mistake about it. So it is our responsibility to respect their time. We should also keep in mind that people do not spend more than a few seconds on every email. 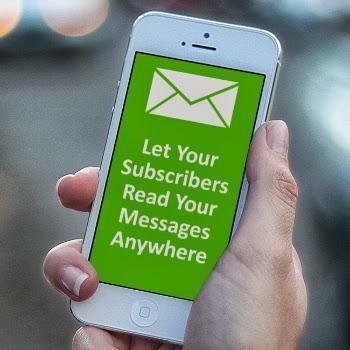 Moreover, if they are reading the emails on mobile devices then we have a few seconds as well as limited space for conveying the message. So let us forget all about writing long stories. Be concise and specific with your message while creating an email. Thus we have seen some of the basic but important tips for improving the performance of your email on every viewing device. Wondering how to go about with creating your responsive email? You need not worry. At DotNet Programmers, we offer HTML Email and Website designing services at extremely affordable prices.